The flow of harmony in and out of pieces should be a big part of a piano lesson. Yet it’s one thing to isolate chords in student a hand-out, but quite another to bring phrases to life with an infusion of harmonic rhythm awareness in the process of playing. In this video sample, a student who was previously oriented to the chords within C Major on every scale degree, phrased the opening of Mozart Sonata in C, K. 545 by blocking out the Left Hand and “feeling” the pull of dominant and sub-dominant chords. Their resolution respectively to TONIC, illuminated phrasing and line shaping. These second video examples featured an overview of A minor chords within the natural and Harmonic form scales, and their relationship to each other as applied to J.C. Bach’s Prelude in A minor. Legato pedaling was an integrated dimension of the learning experience, though the student was not able to play during this class. Yet she still wanted to acquire a framing perspective of her piece to assist her practicing. 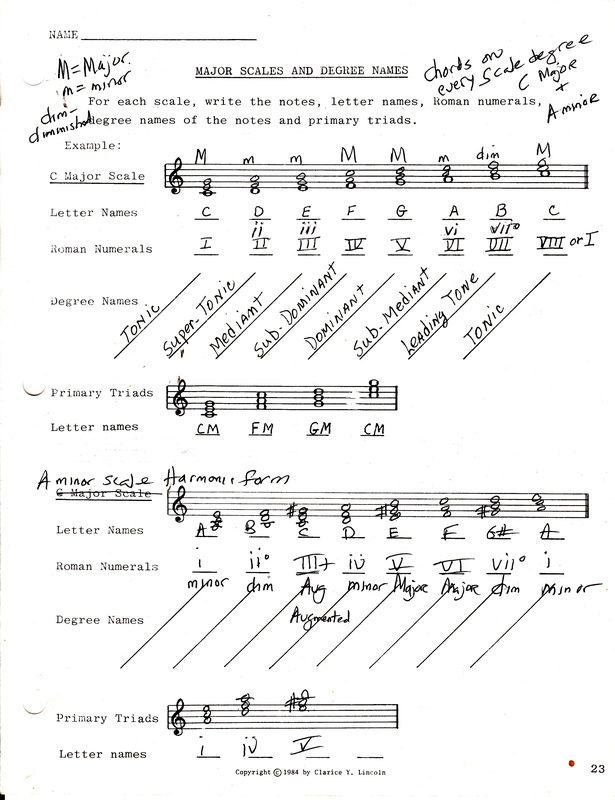 I wanted to learn a little bit more on the theory of harmony, notes, tones, scales etc. My previous teacher told me not to bother with that too much and keep focusing on playing smooth. Now with a new teacher, she let’s me see structures in music, broken chords I-IV-V progressions etc. I don’t know much of them, so now a am looking for a good book on this matter. Sounds like your new teacher is on the right track. You should know your scales around the Circle of Fifths MAJOR and minor.. then work with chords on every scale degree. Have your teacher give you a Theory assignment.. She or He should choose the materials..